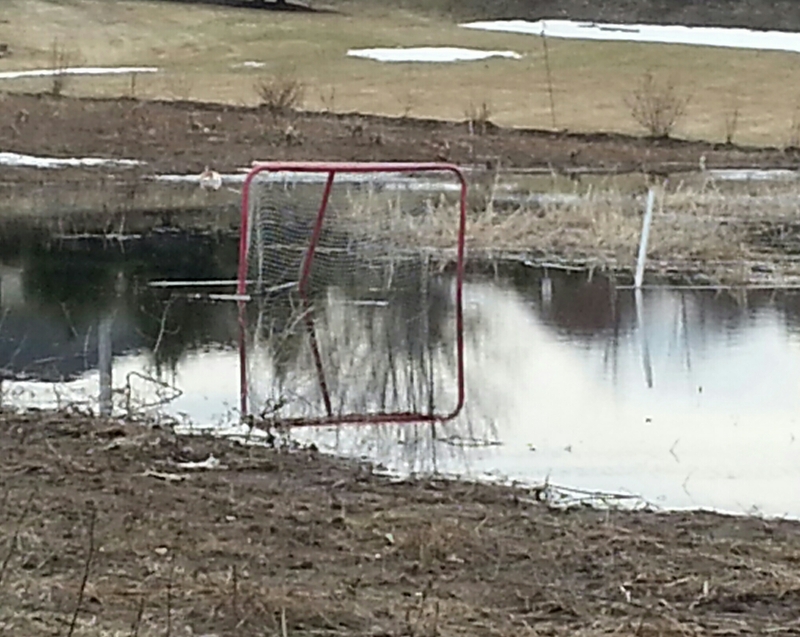 An air freshener-like smell of pine, from the abandoned mill across the street, continued to linger above what was now a simple shallow pond devoid of aspiring hockey players. After several spirited weeks of perpetual ice, the boys with blades, as they were called, knew mother nature had finally put the kibosh on another season of camaraderie and kinetic kinship. Thank You Opher. Your wonderful comments always mean a great deal to me. Nice! The photo reminds me of my childhood years. We lived on a river and there was marshland as well. There was a little pond like area across the street and Dad used to shovel it off so all the kids in the neighborhood kids had a place to skate. Thank You so very much for sharing your wonderful story. I greatly appreciate your thoughtfulness. You are quite kind Iris. Thank You. Anjali, your fantabulous words always put a smile on my face. Thank You so much. Kibosh is a wonderful word. It should be used more often. Fabulous photo!! Lovely story Edward. Some of the best hockey was played there. Great memories for the children. Also makes me smile with the anticipation of spring. Thank You so much for your wonderfully kind words Nelly. I honestly appreciate it. Lovely photo… to further the camaraderie and kinetic kinship, it is time to break out the baseball gloves eh? I suppose so. Thank You very much. You’ve really captured that bleak season of not quite winter and not yet spring. You stopped by to watch the video on medicines for mental illness. I found many videos on YouTube, I don’t know the background of doctors but you’ll have a good idea on the school and research they’ve done. I found a great video in from Twitter I will post shortly. Let me know if I can help you. There is a similar dejected looking hockey net inside the boards of the long-since-melted outside rink in the park behind my house. When I walk by it every day, it makes me feel a little sad. Pleasantly enjoyable and most inspiring to be sure Debbie. Thank You so very much. Reblogged this on Short Stories! Which One Are You?. Thank You for sharing. I honestly appreciate it. Ooh. Just found this. delicious. Susan you are wonderfully kind. Thank You. Thank you for liking “Sunrises” and “Spring Tree Canopy.” Wonderful post! 🙂 You did a great job of telling a story about the transition from winter to spring. Most people look forward to this transition, but I enjoyed seeing a different perspective on this change of season. I’m caught up now. I enjoy your reflections and pictures. I get the sense that the scenes you come upon are the ones that inspire your sentences? Or is it the other way around? Actually, it happens both ways. Thank You for your thoughtful words.